With Japan’s Heisei era on the verge of coming to a historic end in the new year, Palace Hotel Tokyo is presenting a suite of activities to mark one of the country’s most symbolic and sentimental holidays over its traditional three days of celebrations (known as oshogatsu). From partaking in local culinary customs to enjoying a host of musical performances – both traditional and modern – the hotel is setting the stage for a memorable start to the year from its enviable location on the edge of the city’s much-loved Imperial Palace gardens. At the iconic, moat-side property, essential culinary customs such as toshikoshi soba — eating ‘yearcrossing’ soba noodles prior to midnight on New Year’s Eve — and osechi-ryori — feasting on a tiered lacquered box of symbolic, traditional foods specially chosen for consumption in the first three days of the year — will be presented by the hotel’s esteemed Japanese chefs. In addition, on the first two days of January guests will have a chance to witness the first Japanese tea ceremony of the year, hatsugama — perhaps, the most emblematic expression of Japanese hospitality — while live demonstrations and hands-on workshops will bring the tradition of mochitsuki (mochimaking) to guests’ fingertips on January 1. The distinct sounds of koto (a traditional Japanese instrument) music will fill the hotel’s airy main lobby throughout January 1 and 2 while two special performances by the acclaimed Gayo Nakagaki on the 20-string koto is scheduled to take place on January 2. 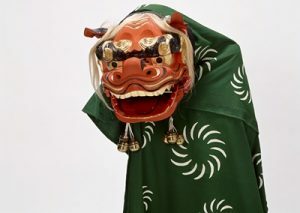 In dramatic contrast and to further enliven the holiday season, shishi-mai lion dancers will shimmy and strike before audiences on the second day of the new year. From mochi to melodies, there will be a jazz countdown cocktail party on New Year’s Eve featuring free-flowing drinks and a live performance by a jazz singer accompanied by a quartet, followed by a New Year’s Day dinner concert by the Palace Hotel Tokyo Philharmonic Orchestra — when 25 musicians and a quartet of singers will take to the stage for a high-spirited performance. The eclectic array of music planned for the dinner concert includes all-time movie and musical favorites from “Star Wars” to Broadway scores and to accompany, a prix-fixe feast of French cuisine will be served, complemented by captivating views of the Wadakura moat below and the surrounding Imperial Palace gardens. The planned abdication of the current monarch in April 2019 makes this New Year the last with the current head of state — Japan’s 125th monarch to occupy the Chrysanthemum Throne (and the world’s oldest hereditary monarchy) — and January 2 one of only two days in the Japanese calendar where parts of the Imperial Palace’s private grounds are opened to the public. The momentous day will be the last chance for visitors to see the popular monarch and the rest of the Imperial family as they appear together on a palace balcony. Sacred for the Japanese and surreal for foreigners, the experience of waving New Year’s greetings to the Imperial family has long been a treasured experience. Guests in residence over the festive season can choose their level of participation in the festivities with three different stay packages on offer. The first, ‘Shinshun’ (‘new spring’), is the most immersive option — encompassing a stay of two to four nights beginning on December 31. In addition to daily breakfast and prix-fixe dinners, participation in all of the New Year’s events are included, with rates starting at JPY 400,000 (USD 3,600). For those who would prefer to script their own New Year’s holiday, the hotel is offering a bed-andbreakfast-only option for two- to four-night stays beginning on December 31. Package rates start at JPY 250,000 (USD 2,250) and guests can then choose to book any of the scheduled festivities as addons. Entrance to the New Year’s Eve Jazz countdown cocktail party is JPY 7,000 (USD 64) per person, while the dinner concert on New Year’s Day costs JPY 26,200 (USD 235) per person. Reservations are required. 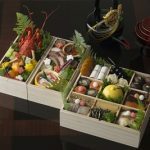 And finally, for those preferring to kick-off 2019 after the customary festivities (and fuss) of the main event have dissipated, Palace Hotel Tokyo is offering a ‘Hatsuyume’ (‘first dream’) package featuring one- to three-night stays beginning on January 2 and inclusive of daily breakfast and prix-fixe dinner — an option well-suited for those who would like to treat themselves to a particularly memorable start to the new year. Rates start at JPY 150,000 (USD 1,350) per night. Well-known for its array of cultural and celebratory festivities to mark the new year, Palace Hotel Tokyo typically sells out far in advance for stays over the celebratory period so those interested are recommended to book as early as possible. * All starting rates quoted above are based on double occupancy in a Deluxe with Balcony room ** The daily prix-fixe dinners included in the ‘Shinshun’ and ‘Hatsuyume’ packages can be had at guests’ choice of any of the hotel’s seven restaurants. Subject to availability. Reservations are required.